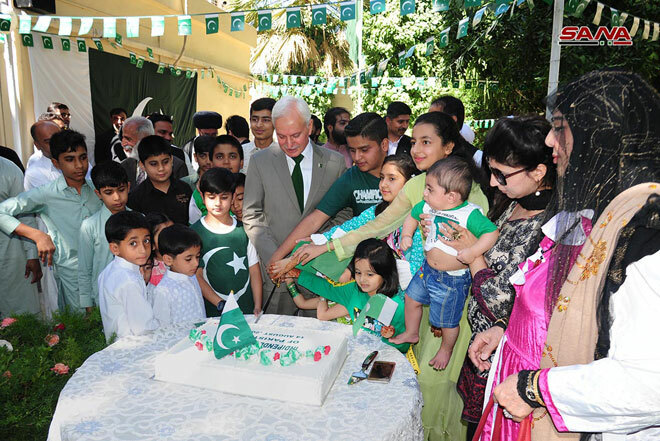 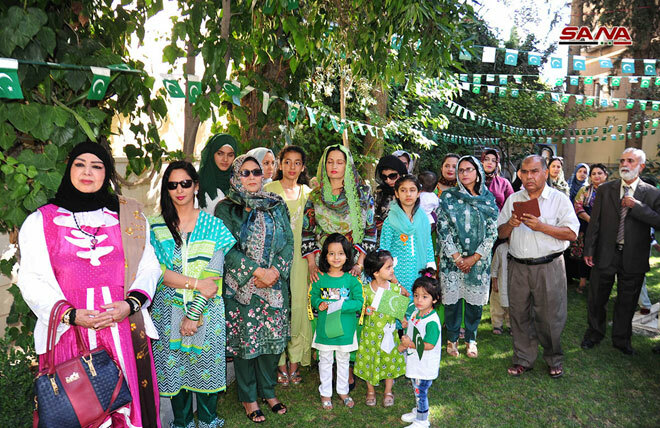 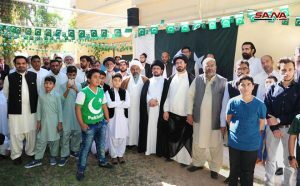 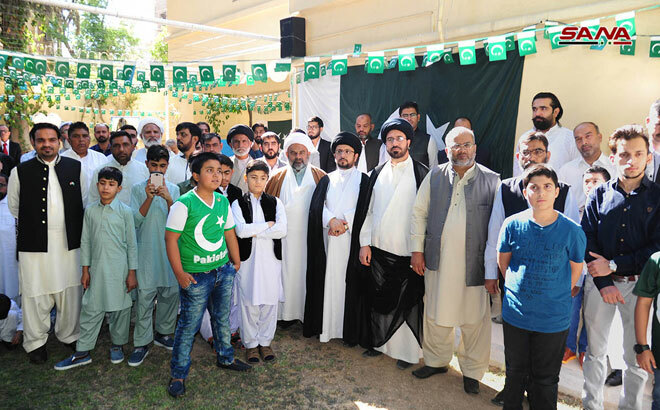 Damascus, SANA – The Pakistani Embassy in Damascus held a reception ceremony on the occasion of Islamic Republic of Pakistan’s independence day at the Embassy’s HQ in Mazzeh. 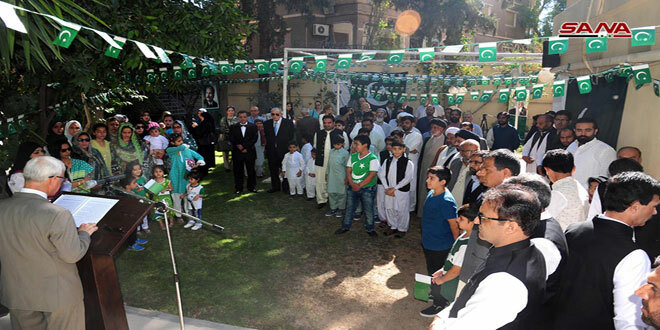 In a speech during the event, the Pakistani Ambassador Rashid Kamal affirmed that Syria and P akistan are alike in their struggle against colonialism and their fight against the enemies of freedom and independence. 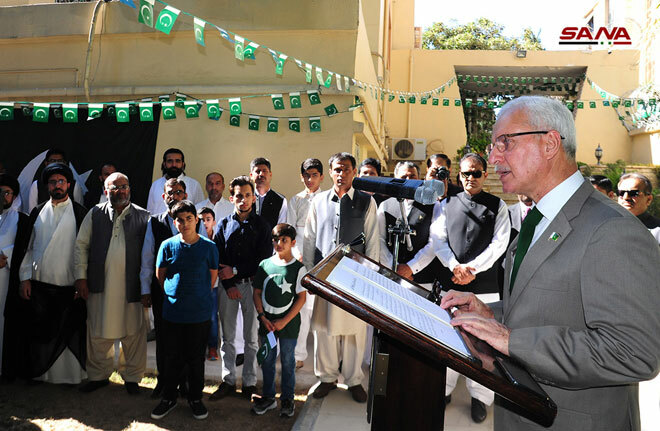 The Ambassador noted the strong bilateral relations between Syria and Pakistan, especially in light of the difficult circumstances that Syria has been facing during the years of crisis, hailing the victories of the Syrian Arab Army in combating terrorism. 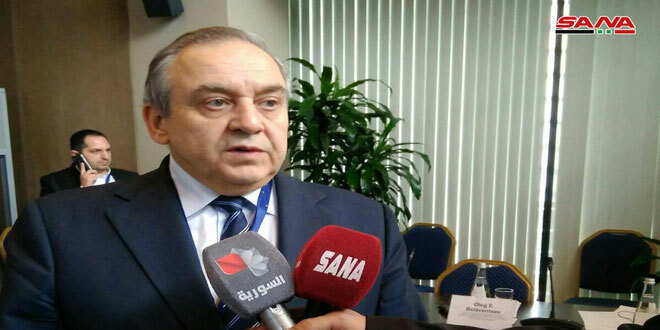 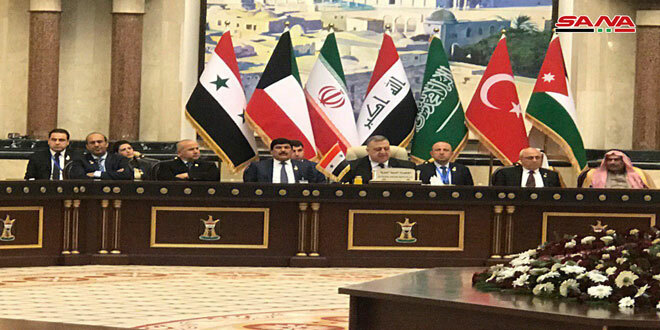 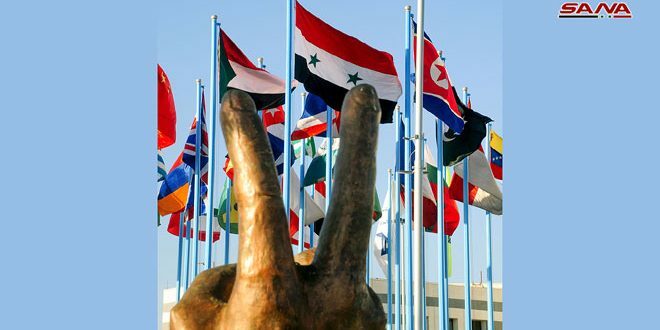 He asserted his country’s participation in the activities of the upcoming Damascus International Fair edition, which aims at promoting and developing the Pakistani-Syrian economic and trade relations.